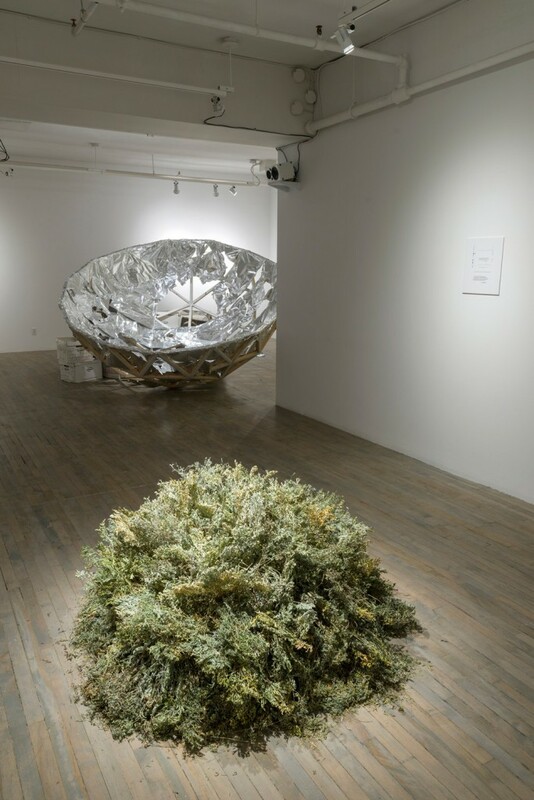 CRUM, “119 m Above Sea Level” (installation view), 2014. Courtesy Galerie SBC. Photo: Guy L’Heureux. A collaborative project with the Centre de recherche urbaine de Montréal (CRUM) imaginatively restaging the lost archives of 45°30′ N-73°36’ W, an exhibition first presented at the Saidye Bronfman Center for the Arts and the Sir George Williams University Art Galleries (1971). – Emily Falvey, “CRUM’s Playful Conceptualism” Canadian Art, 12 January 2015. This entry was posted in Looking. Bookmark the permalink.